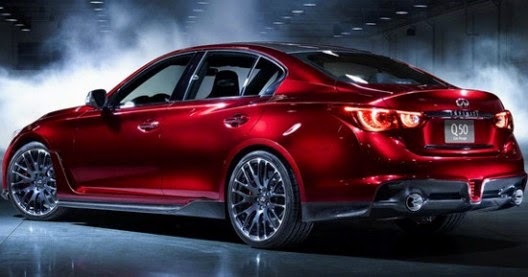 A senior Infiniti's officer has confirmed that the brand is preparing a premium supercar named Infiniti Q50 Eau Rouge. And reportedly the supercar will be a formidable competitor of the BMW M3 in the premium sportscar class. "It's fair enough when the Infiniti Q50 Eau Rouge compared to the BMW M3, but we will make the car with much less amount and are made by hand made," said Johan de Nysschen, President of Infiniti, as reported by Motor Trend on Wednesday, June 11, 2014. As a premium brand of the famous automobile manufacturer Nissan, reportedly Infiniti will also sell their homemade sportscar is more expensive than the price of a BMW M3. When the BMW M3 with the most expensive price sold for U.S. $80 thousand, or approximately Rp. 945 millions, then Infiniti's sports car will be priced at U.S. $100 thousand or approximately Rp. 1.18 billion. De Nysschen said, if Q50 Eau Rouge will be produced according to the demand of consumers who order to maintain the exclusive value of the four-seater sportscar. He estimated Q50 Eau Rouge can sell for between 250-500 units per year. 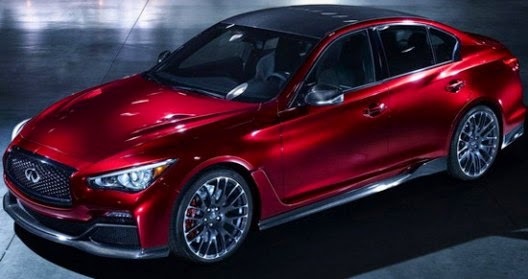 Infiniti Q50 Eau Rouge will carry a 3.8-liter, V6 VR38DETT engine that used also in the Nissan GT-R, and capable of spraying power of 560 hp. Q50 Eau Rouge premium sportscar equipped seven-speed automatic transmission system to transfer power from the engine to the four wheel drive system.